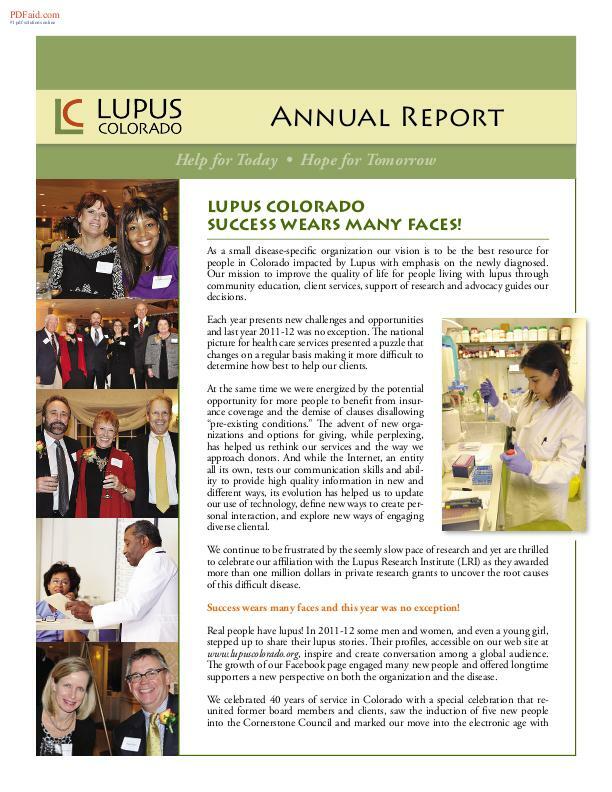 Lupus Colorado Annual Report Available As a small disease-specific organization our vision is to be the best resource for people in Colorado impacted by Lupus with emphasis on the newly diagnosed. Our mission to improve the quality of life for people living with lupus through community education, client services, support of research and advocacy guides our decisions. Please take time to review our annual report to see how we work to stay true to our mission, how our finances are managed and how so many people come together to help make our organization successful! Client Support in the 21st Century From Debbie Lynch, CEO One of the issues we have struggled with for the last 10 years is how to facilitate providing support, other than financial assistance, for those with lupus and their families. In the early part of the decade we organized support groups, 18 to be exact, in various parts of the state. A written manual and training were available for group leaders as was a quarterly stipend for meeting expenses. About 9 months into the first year, imagine our surprise when we were ready for the quarterly conference call and no one called in! Follow up phone calls found that for various reasons groups were not meeting, had disbanded altogether or had decided to call each other as needed. LC launches electronic newsletter Welcome to our first electronic newsletter. Lupus Colorado staff members couldn’t be more thrilled that hundreds of you responded to our mailing indicating that you want to continue receiving the newsletter, but in its electronic form. “While we know there are some who will miss the printed piece, the cost-savings benefits are substantial,” said Lupus Colorado CEO Debbie Lynch. “If we can allocate more money directly into lupus research, we believe that is the responsible thing to do.” Postage costs are increasing in 2013 as has been the trend for the past few years. Lynch estimates the organization will save more than $14,000 annually on printing and postage costs. The newsletter will still be published each month, but rather than be delivered to mailboxes, it will be delivered to Inboxes. 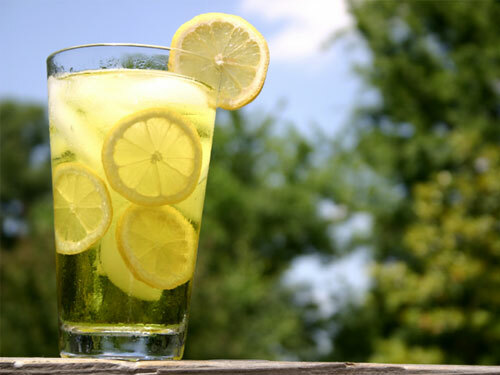 Not to be forgotten are the advantages to the environment. Reams of paper will be saved, not to mention envelopes, ink and stamps.